You don’t need to make drastic changes to your eating habits in order to achieve your ideal shape. You don’t need to skip meals. And you definitely don’t need to deny yourself your favorite treats! In fact, you can achieve incredible weight loss results by simply enjoying more delicious foods. The secret is in enjoying the right fat-blasting foods at the right mealtimes, and that's what we reveal in this new book! 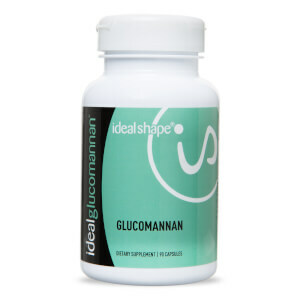 Created by IdealShape head trainers and nutritionists Trainers Kami and Zac Price, the IdealPlan is a complete plan for accelerated, sustainable results. You’ll discover how to reduce calories yet still feel satisfied and enjoy nutritious meals throughout the day. How often? You guessed it… every three hours! 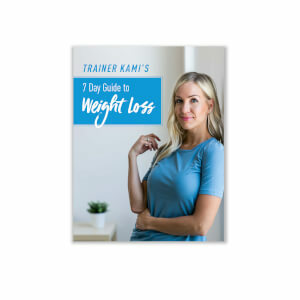 You’ll also learn effective techniques to help curb hunger, exercise to maximize results, and much more! If you’re already a fan of IdealShakes and IdealBars, don't worry — they're an essential part of the plan, and we'll show you how to incorporate them for even more dramatic results! *No refunds will be issued for this eBook. The book is so much easier to understand and the recipies are to die for. Eating Healthy and Loving it. Great book however would be great if hard copy was available to those who don't use online services regularly. This is my favorite Shake. I love the hunger factor. My husband tried this shake and loved it too! Really enjoy that it is at my finger tips (easy access on-line). Great idea and great recipes! This was an awesome reaource and got me on the right track! I had tried the 21 Day Fix, and it wasn’t for me. I’ve been following this plan for my body, and have lost 1 pound each week. Love the shakes, bars and the boast. I have struggled to lose weight for years!!! I’m at my heaviest weight ever 350lbs however my journey has begun and with following the Ideal Plan and doing the 15 day challenge I’ve lost 12lbs. The support system is the best ever!!! I live Kami’s meal prep videos and all her exercise videos!!! Kami truly cares and she has helped me so much during my short time beginning my life style changes!!! 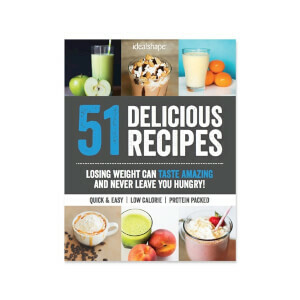 Love the recipes along with all the shake recipes!!!! I live that all the calories, macros are figured out!!! I have a very long journey to reach my goal weight of 150lbs!!!! Even though I have 200lbs to lose But I’m just making small goals and taking baby steps vs focusing on the number 200lbs!!! I struggle with believing in myself, positive self esteem however following the Ideal Plan and writing down all my whys has helped me to begin to have more self esteem ever day I look in the mirror and tell myself YOU CAN DO THIS I’m so pleased to have this Ideal Plan to follow and I’m so pleased with all the products best weight loss program I’ve ever tried!!! i really was surprised at how good the shakes were.i especially loved the chocolate.the vanilla was great also.i would add a banana to it or strawberries.my favorite snack was cottage cheese.i know i didnt have to have that but i like it.i also drank v8 for some of my vegetables.im not a fan of salads to much so i ate greenbeans,spinach,broccolli.i gotprettygood at the diet.my husban lost more than i did.thanks for the great sales you puton occaisionally.